Black Magic 6.5x14 Snare, Snare Drum from Ludwig Drums in the Black Magic series. Ludwig Drum Co. has announced the new Black Magic Snare Drums, a new series designed using a classic formula but adapted to provide modern, aggressive tones while favouring volume, tonal clarity and snare response. 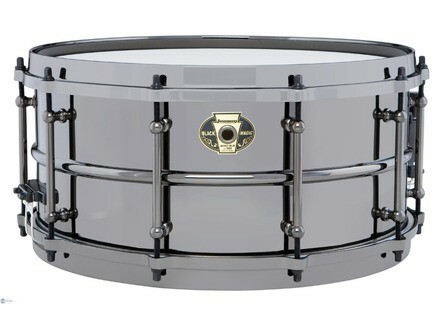 Designed with the brand's original Black Nickel-Over-Brass shell composition, Black Magic snare drums share the same shell type with the famous Ludwig Black Beauty snare drum but also presents unique features such as matching die-cast hoops for increased volume and tube-style lugs for maximum shell resonance. 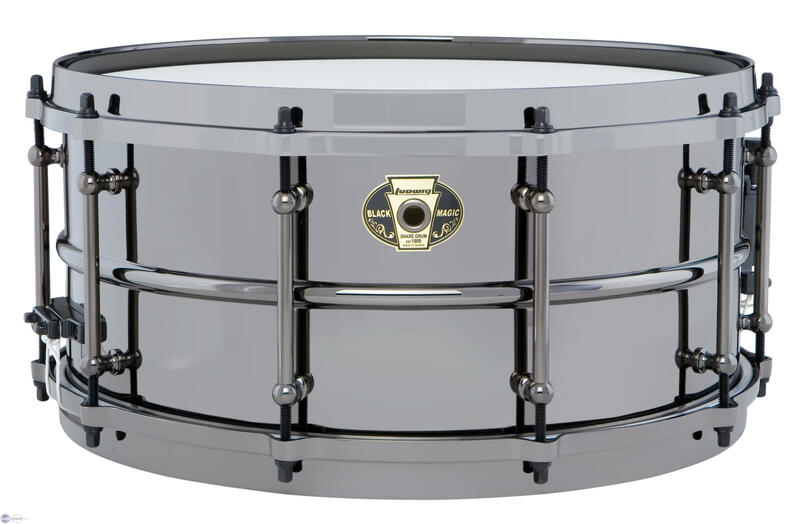 Available this Fall, the Black Magic snares will be available in 6.5"x14", 7"x13" and 5"x14" models. Gretsch Catalina Club Mod G-Tube Graphic Gretsch Unveils Catalina Club Mod In G-Tube Graphic Finish. Gretsch Full Range Rosewood Snare Series After the success encountered by the brand's 2007's Renown Purewood Rosewood drum sets, Gretsch Drums has announced three new Rosewood snares have been added to Gretsch's Full Range Snare lineup. Shadow Stompin' Bass Shadow Electronics presents the Stompin' Bass, an electric percussive instrument.